Type Ia supernovae (SNe) are often the archetype of an astronomical standardizable candle — something that has a known luminosity which we can use to measure its distance. Scientists famously used type Ia SNe to discover that our universe is accelerating and won the Nobel prize in 2011. However, one of astronomy’s dirtiest secrets is that we don’t know exactly how type Ia SNe materialize or why they might even be standard candles. If you recall, supernovae are the explosive deaths of stars. They have a range of spectral types and energies that depend on the nature of the explosion and the progenitor stars. Type Ia SNe detonate in one of two ways: via the single degenerate or double degenerate model. In the single degenerate model, a white dwarf orbits a massive main-sequence star and eats aways at its partner’s outer layers. The white dwarf gains mass and eventually tips over the Chandrasekhar limit and collapses on itself and explodes. In the double-degenerate model, a binary system of two white dwarfs loses energy due to gravitational waves and the white dwarfs eventually collide. These two mechanisms are schematically shown in Figure 1. Figure 1: The double degenerate (left) and single degenerate (right) models of a type Ia supernova. Images taken from Wikipedia Commons and Discover Magazine. There is no reason to think that only one model can be the true type Ia mechanism; most astronomers agree that there is likely a mixture of the two means. The problem is that these two scenarios may not be standardizable when put together. In particular, the single degenerate scenario implies that the progenitor of type Ia SNe is always around the Chandrasekhar mass (1.4 solar masses), while the double degenerate model leads to a range of plausible progenitor masses. Because the mass is correlated with the luminosity, it is not clear why the double degenerate case should be standardizable, and it is definitely not obvious that both populations are standardizable when mixed. Unfortunately, we have yet to see a clear distinction between the two populations observationally. Today’s paper suggests a few observational differences between these two scenarios and how the single degenerate model may account for very bright (superluminous) type Ia SNe. Fisher and Jumper start with a simple model in which they ignite a bubble somewhere with a white dwarf in order to jump-start the supernova. It turns out that where this “flame bubble” ignited has a significant effect on the SN explosion. Bubbles which are close to the core of the white dwarf lead to slow burning (known as deflagration), causing the white dwarf to expand. Eventually, this drastically transitions into a detonation of the remaining material which causes a supernova. This process is known as deflagration-to-detonation (DDT), and leads to type Ia SNe which are less luminous; you can see both deflagration and detonation in action in the video below. If the ignition bubble is offset from the center, the deflagration phase is minimal, and the detonation leads to much brighter SNe. The question is: how far away from the center of the white dwarf does the ignition bubble need to be for deflagration to significantly affect the luminosity of the supernova? The authors approach this problem analytically. They take into account the speed of the growth of the flame bubble, the density profile of the bubble and its surroundings, and the gravitational acceleration around the bubble. They find that a characteristic offset of ~19 km is where deflagration becomes less important (meaning that Ia SNe explode without slow burning). This is an incredibly small offset! A typical white dwarf has a radius of ~7000 km; according to the authors a bubble greater than just 3% away from the core is enough to clobber the possibility of prolonged deflagration. To reiterate, this means that white dwarfs in the single degenerate model are likely to be superluminous compared to typical type Ia SNe. This is a useful hypothesis for a number of reasons. For one, the predicted rate of type Ia SNe is much higher than the single degenerate model predicts. The rate of superluminous SNe that we see, however, is in line with the single degenerate model. Additionally, it would agree with the observational fact that most type Ia SNe seem to have double degenerate progenitors and make a cleaner separation between the two classes. Finally, the authors provide some clear tests to confirm the nature of superluminous type Ia SNe. One of the most obvious tests is to look at the post-explosion site for a possible companion star. If a main sequence star exists, than the supernova was from the single degenerate variety. We can also try to find traces of hydrogen in the SNe spectra; hydrogen indicates that a main sequence companion star was in the process of feeding the white dwarf during the time of collapse. Due to the low numbers of superluminous type Ia SNe (and perhaps low numbers of single degenerate SNe), the observational evidence is hindered by looking for the single degenerate needle in the haystack of all type Ia SNe. Perhaps with deeper and larger surveys such as LSST, we can begin to untangle this mystery. I am a third year PhD student at Harvard University. I'm generally interested in optical transients, or the dramatic aftermaths of stellar eruptions, collisions and explosions. I'm also broadly interested in how astronomers can efficiently use large datasets produced in future missions. When I'm not working, I bake, exercise and try to enjoy Boston. Thanks very much for this, Ashley – a fascinating read! Very interesting. I have learned a lot about type1a supernovae, but have not heard about the deflagration-to-detonation process leading to their explosion. I also liked the linked video and thought it was very effective at explaining deflagration quickly. How big a difference in brightness is there between the two different types of 1a supernovae? Is it something like two times or a hundred times? And is there anything else about their spectra or something that might allow us to tell which class of type 1a supernova is which without somehow being able to compare luminosities? Thank you for this cool post! I am surprised to learn that the astrophysical community does not understand exactly how type Ia SNe materialize or why they might even be standard candles, and am excited to see what the LSST will reveal. Really cool- I had no idea! I don’t quite understand how the ignition bubble occurs- does it spontaneously form? Thanks so much for the awesome summary of the paper, Ashley! You did a great job in summarizing the complex science for a broad audience in your post. On the ignition question, consider this: white dwarfs are the ultimate couch potatoes of the universe. As the nuclear cinders of the evolution of normal stars, white dwarfs normally spend the rest of their days like retirees, slowly radiating away the thermal energy they banked once upon a time when they were young and active. However, if a white dwarf accretes mass from a companion star and reaches the Chandrasekhar mass limit, it eventually jumps off the couch and becomes re-invigorated, burning carbon in its core just like a young star again. Unfortunately for it, this process is likely to be terminated after only a few hundred years in its explosion as a thermonuclear supernova. 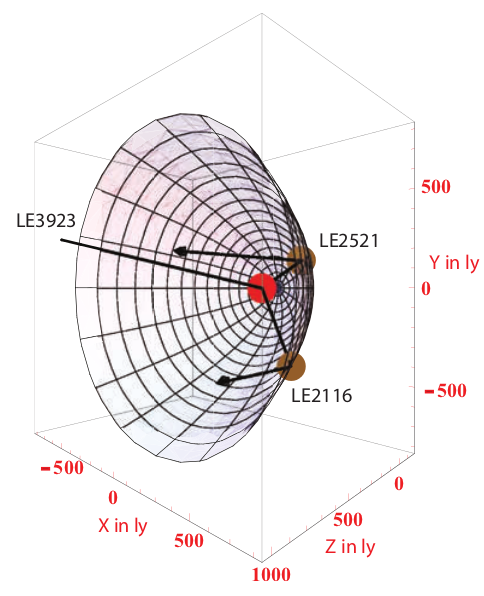 Slightly more technically, as the white dwarf accretes mass and reaches the Chandrasekhar mass limit, it turns out that due to the weird physics of quantum degeneracy pressure, they actually CONTRACT, and become denser in their cores. This leads to a re-invigorated nuclear “simmering” phase of carbon burning in their convective cores. Check out this really cool simulation of this process by Mike Zingale and collaborators! With all of that crazy vorticity, it’s amazing that anything could remain centered while initiating the explosion – or is this simulation post-ignition? It is very Interesting to see an outdoor lab experiment apply to understanding a major astrophysical question. Was data taken on these bubbles? how do they account for what we see on earth and what happens in space? If you read my above comment McKenna, you’ll see that they’re not actually observed. They are theorized to exist in white dwarfs, but we will (very likely) never actually see this process happen. However, our understanding of how combustion works on Earth can help drive our models for supernovae. The problem is that the physical conditions in a white dwarf is something we will never see on Earth, so it’s hard to find a model that can explain phenomenon on both. Given the possibility of type 1a supernovae occurring with varying mass, and thus luminosity, is it possible that the calculations done by the Nobel-winning papers are inaccurate? Could we be underestimating how many of these supernovae come from binary white dwarf systems? R. E. Firth et al. I’ve posted hyperlinks in a comment below, but it is waiting moderation. Yes – if type Ia SNe are not standardizable, it does call the result into question. *However* – the result is likely robust, and several other factors tests point to an accelerating universe indirectly (CMB and cluster studies). It is also definitely possible that we are underestimating/overestimating either model (single or double degenerate). This is a very active field of research because it has such important consequences. Allow me to add that there is an opportunity to improve the standard candle. You may have heard that, just last week, astronomers announced that a better standard candle was obtained by examining Type Ia supernovae in spiral galaxies with active star formation: http://bit.ly/1OhqepS. If we can better understand the precise observational signatures of the different types of stellar systems which give rise to these supernovae, we can separate them out and obtain improved standard candles for cosmology. Thanks very much for that link, Robert, I’d not seen it. “The exponent n shows significant departures from the simple ‘fireball model’ of n=2 (or f(t)∝t2) usually assumed in the literature. With a mean value of n=2.44±0.13, our data also show significant diversity from event to event. This deviation has implications for the distribution of 56Ni throughout the SN ejecta, with a higher index suggesting a lesser degree of 56Ni mixing. * The range of n found also confirms that the 56Ni distribution is not standard throughout the population of SNe Ia, in agreement with earlier work measuring such abundances through spectral modelling. * We also show that the duration of the very early light curve, before the luminosity has reached half of its maximal value, does not correlate with the light curve shape or stretch used to standardise SNe Ia in cosmological applications. Commentators on this thread might find this University of Arizona news release of interest. Peter A. Milne, Ryan J. Foley, Peter J. Brown, Gautham Narayan. 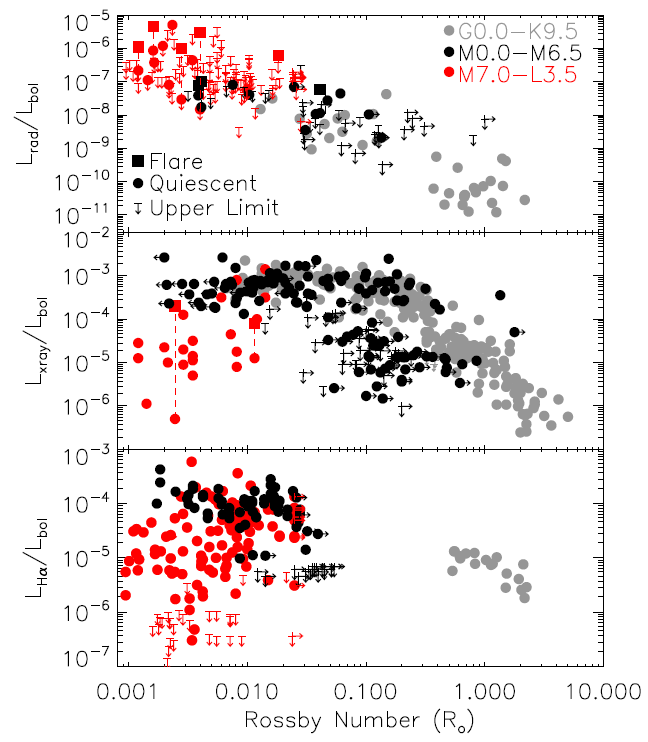 THE CHANGING FRACTIONS OF TYPE IA SUPERNOVA NUV–OPTICAL SUBCLASSES WITH REDSHIFT. Very nice post! One question that I had is why the progenitors need to have a certain mass? I look forward to see how future data sources affect these hypotheses! This is really interesting. I had always learned the “single degenerate” model for Type 1a supernovae in school and didn’t realize that the double degenerate model was something different. Thanks for the post! @Tabata and @ Zoey, but maybe of interest to others here. That is a very good broad overview indeed — one of the best I’ve seen written at a non-technical level. It was written in August of last year, after several ground-breaking developments (gamma rays from 2014J, progenitor for 2012Z, etc.). The field is progressing so rapidly that material from 2013 and earlier can frequently be outdated already. Cool! Are there models we can use to calculate a theoretical ratio of single to double degenerate white dwarf systems that should exist in the universe? Does the relative abundance of superluminous SN1a we observe line up with this ratio? Yes, the theoretical models employed are referred to as “binary population synthesis” models, and evolve two stars in a binary system. The models include (in various approximations) all phases of stellar evolution, as well as the physics of mass and angular momentum transfer associated with the binary system. Broadly speaking, the binary population synthesis models are consistent with the rates of overluminous SNe Ia, but there are very large uncertainties associated with the modeling process. You can read a lot more about this in section 4 of our paper if you are interested in learning more. Very interesting post explaining how the current hypotheses for the creation of Type Ia SNe are complicated by the need to reconcile the SNe with their standard candle properties. Great Explanation, but something puzzles me. I would assume that a single degenerate (i.e. 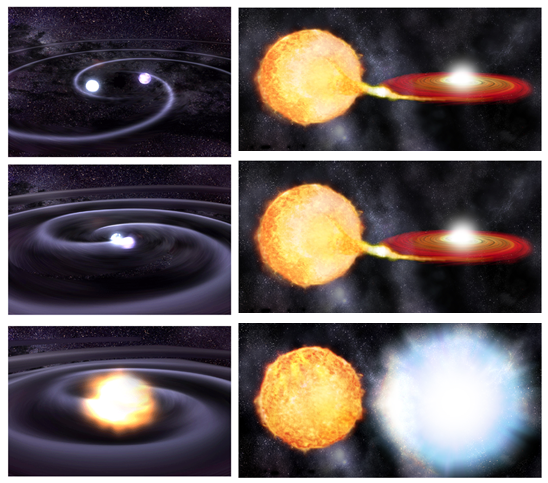 “gas sucking”) supernova would exhibit more symmetry than a double degenerate collision model. Wouldn’t this symmetry be more likely to center the flame bubble and lead to more deflagration and a less luminous explosion? You indicate that the opposite occurs. Are single degenerate progenitors asymmetric (or some other mechanism offsets the flame bubble)? I don’t quite follow why it’s problematic that we cannot standardize both theories about type 1a supernovae form. Why can we not just say there are type 1ai supernovae and type 1aii supernovae? Is it because we assume that both scenarios must happen at the same time?